Are you ready for the weekend?! 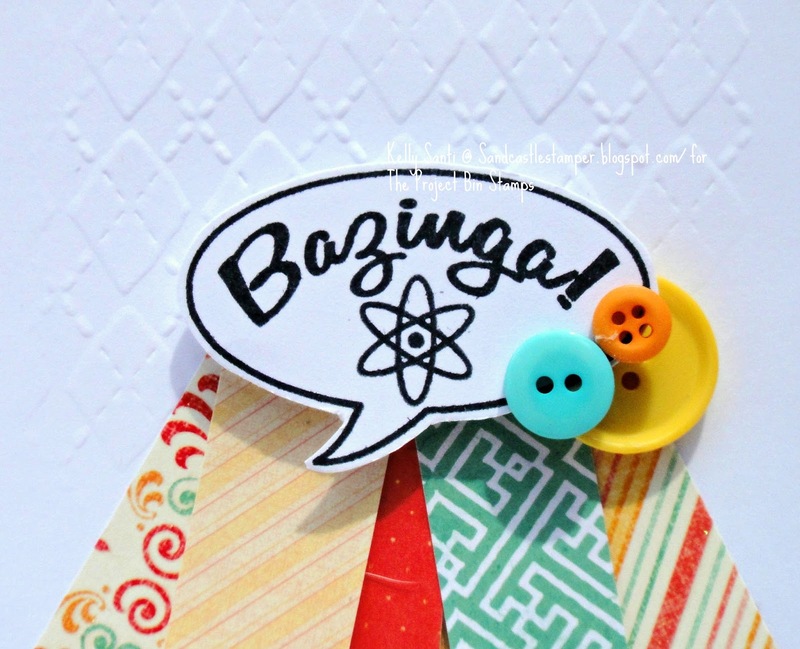 a super fun source for snappy sentiment stamps! 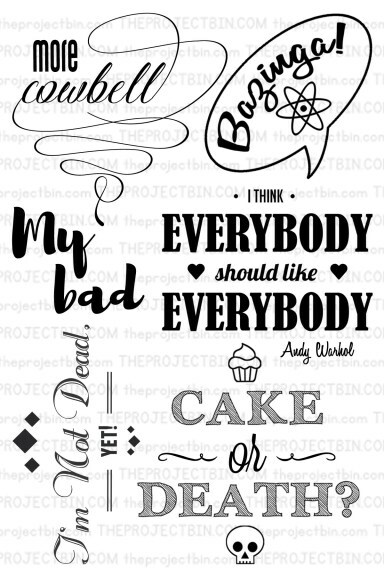 like this one from Sheldon Cooper in The Big Bang Theory tv show! and dry embossing only a partial part of the cardstock. You can see it a little better in the close up. leaving the 'roped off' area with again - those lines! where just a small portion of the cardstock is embossed. I acheived this with good 'ol fashioned elbow grease! LOL! used a bone folder and just rubbed and rubbed and rubbed! and it stuck with me ~ but can't find to create the OP ~ apologies! Hopefully this one will inspire you, too! 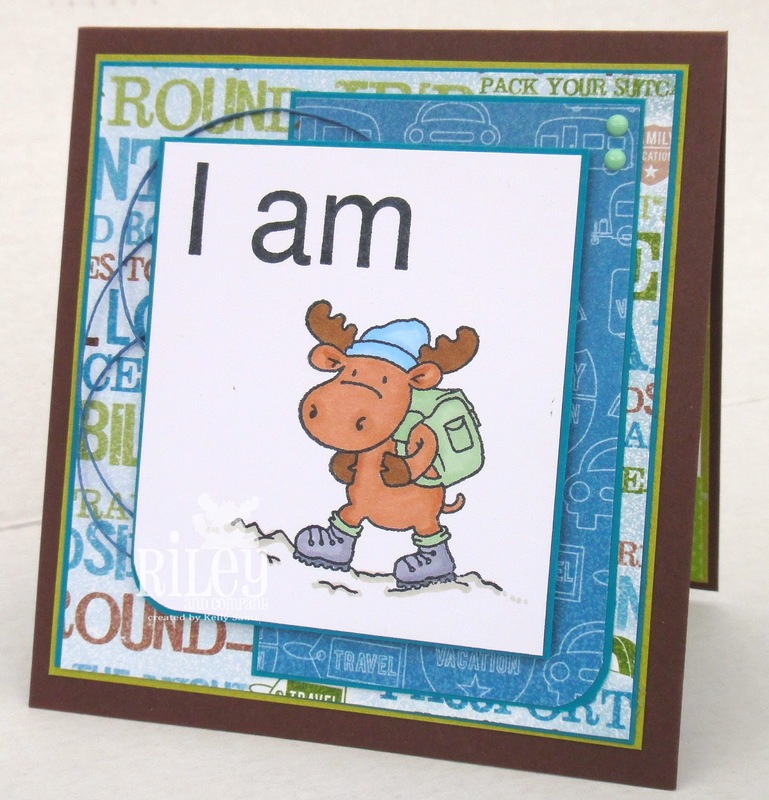 You can find this fabulous stamp set and many others in the store. and SCS for more inspiration. And while your shopping, keep in mind that shipping is only $2! and this week's theme is: Travel! but he was going out of his mind with excitement for this trip! and the fun 'down time' with hiking, swimming, boating, etc - he's in his glory! There is a total of 4 Riley and Company stamps on this card! and the "I am" from the Inspirations sentiment - which is a wonderful way to mix and match your FunnyBones and Inspirations stamps! 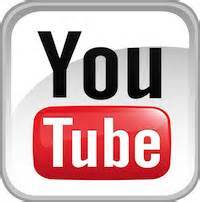 stop by The Ink Spot blog! And don't forget to check out the monthly club kits! I hope everyone is having a wonderful start to their summer! and now the week long wonders of VBS! I'll be back to my routine and knee deep in markers, glue, paper, ink! And today is the 15th! and our friendly duel this month is .......... Pets! 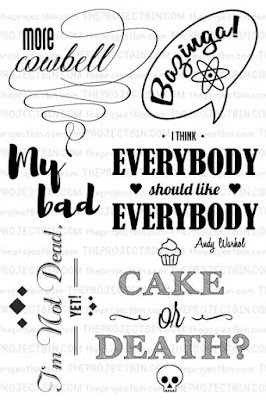 and they came up with a wonderful, sweet theme. and ooooh did I oogle this image when I saw it in social-media-land! 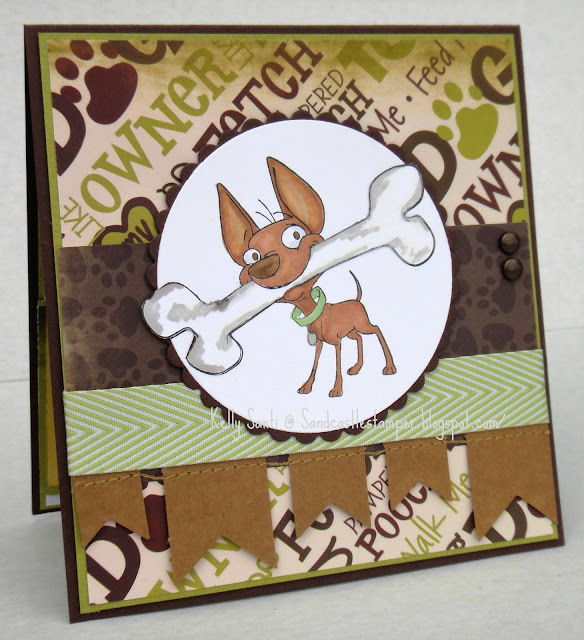 I love, love, LOVE this adorable pup from Kraftin' Kimmie Stamps! 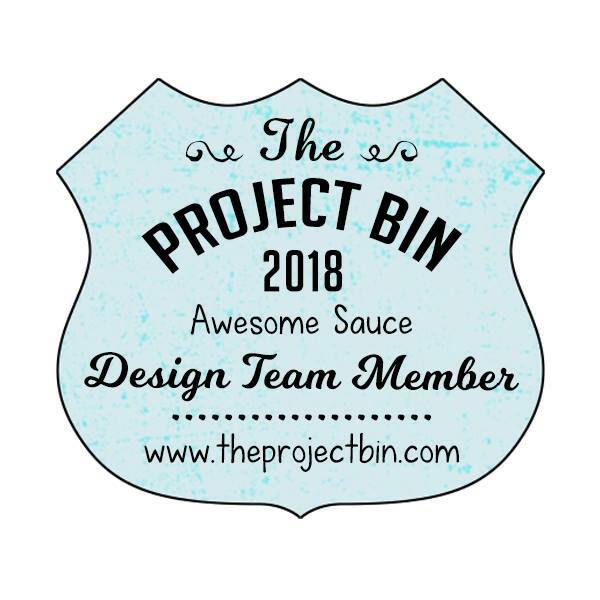 you can find them right in my blog side bar! hard to believe this young man is off to middle school. even if they will be mostly dashing in and out. the day the 3 Musketeers post our cards. 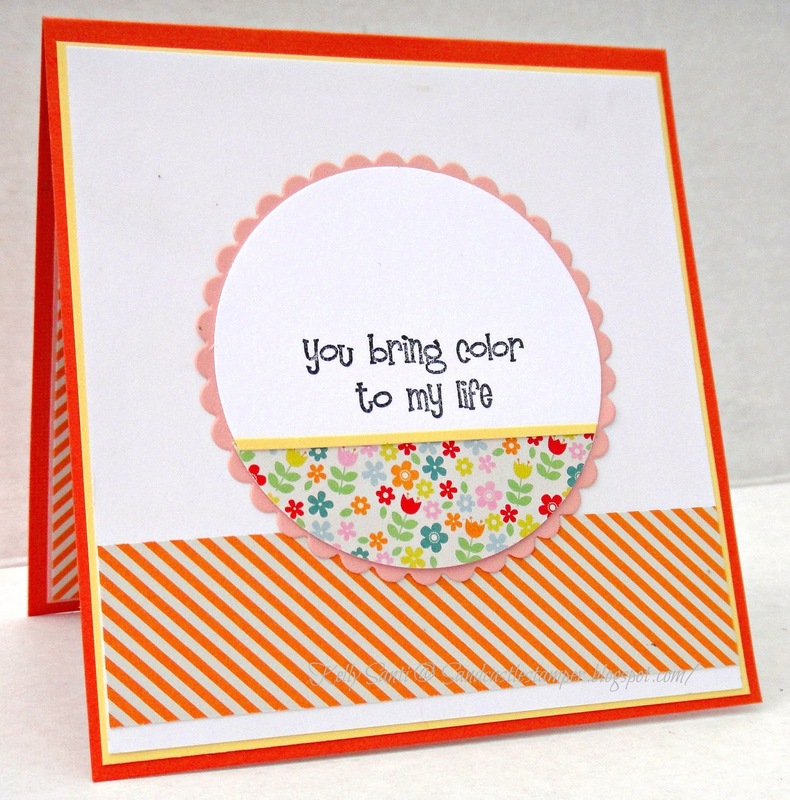 and sent us this darling Painter Meg from Stamping Bella. and it was just as every bit delightful to color is in person. 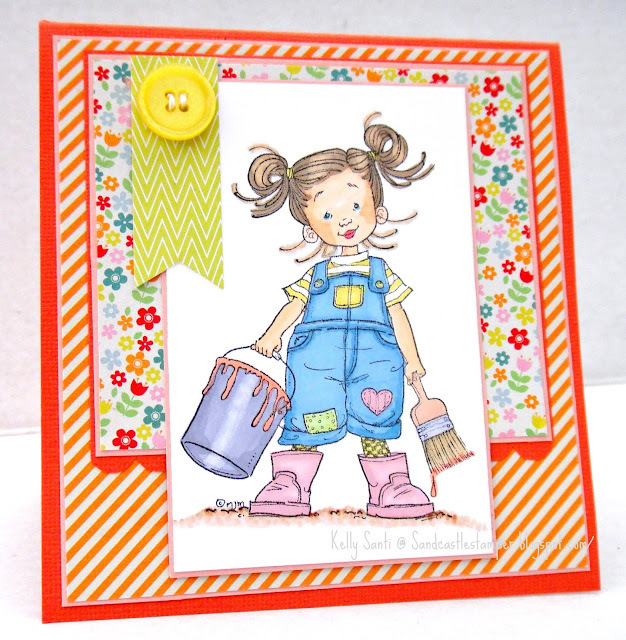 Painter Meg is just adorable! be sure to stop on by and see what they've made, too! There's only 58 more days until the summer Olympics in Rio! Such an exciting time to see the young athletes that have trained long and hard, dedicating so many hours to their sports make it this far. ready for the field in his Team USA jersey! The challenge at The Ink Spot this week: Show your pride! while I'm always cheering on Germany! cheering on our teams, and in his case - tears of defeat, hee hee! I stamped/colored up soccer Riley with a patriotic, team USA feel. and even watched them go on to play at colleges and professionally. and check out all 6 places you can shop! 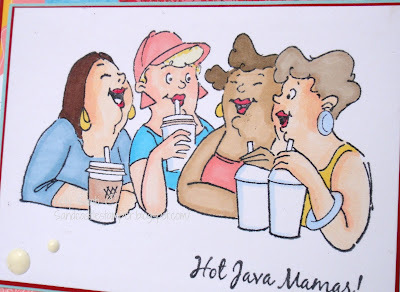 3M - Hot Java Mamas! reach beyond my comfort zone and have fun in the process! 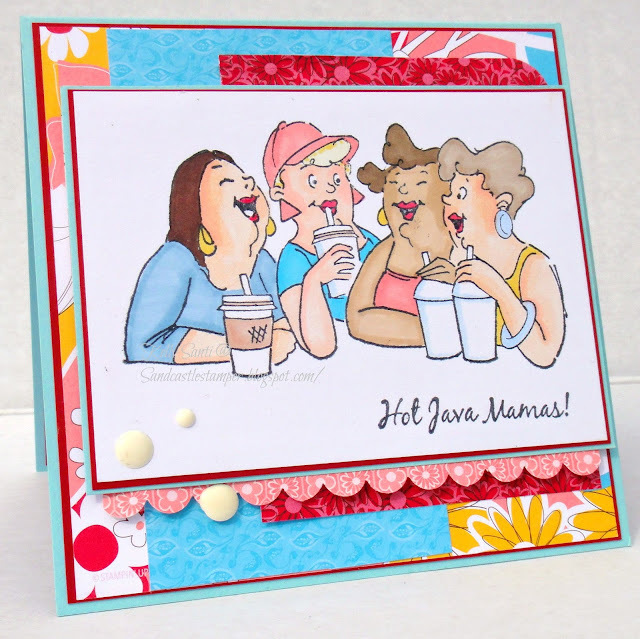 which I did in this super fun card making post. or my ONE COPIC marker, lol, in E00. 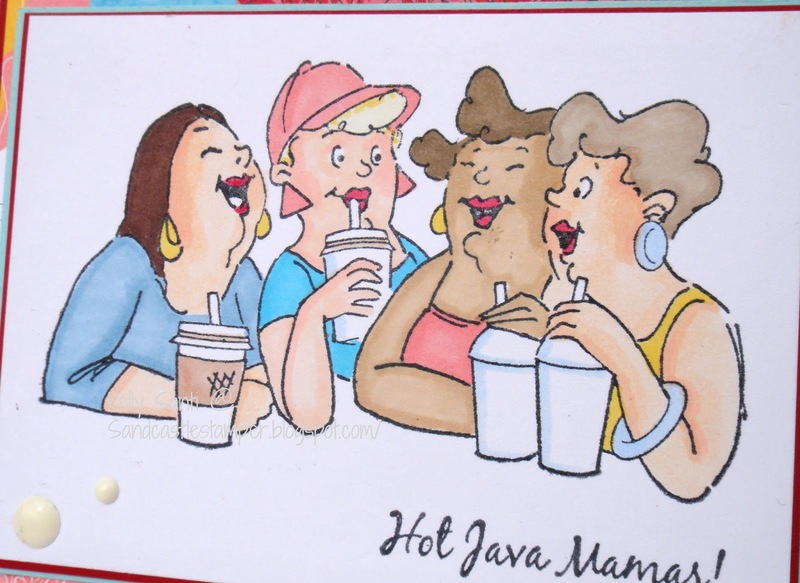 a group of friends, meeting for coffee, chatting, laughing! just like these 4 lovely gals! Girlfriends Blend image would be a fun one to create with. and lots of layers, enamel dots and the fun matching AI sentiment. 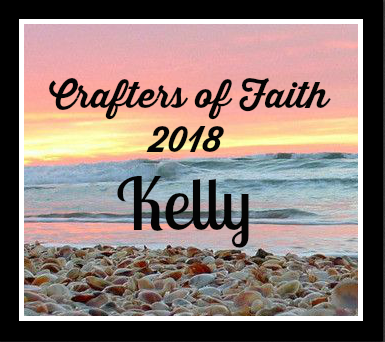 I still have my 3rd crafty goal to try - stay tuned! May your weekend be filled with friendship and smiles! I'll enter this into the Art Impressions challenge blog: layer it up!